And even if there was a truce, the Saudi-led coalition is unlikely to accept the current battle lines for long since they leave the Houthis in control of much of the country, including the capital. CAIRO — New U.S. calls for a cease-fire in Yemen have raised the prospect of ending a disastrous civil war that has caused the world’s worst humanitarian crisis, but previous rounds of talks have failed and thus far neither side shows any sign of backing down. This week, U.S. Secretary of State Mike Pompeo called for a “cessation of hostilities” and Defense Secretary Jim Mattis said the truce should happen within 30 days and lead to U.N.-led talks. 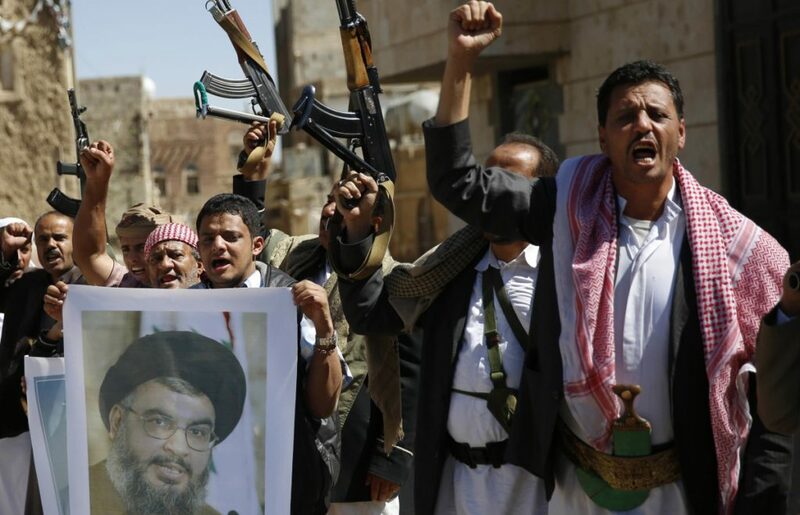 Their remarks mark a shift in the position of the United States, which has backed the Saudi-led coalition in its 3½-year war with Iran-aligned Houthi rebels. But the Saudi-led coalition is unlikely to accept the current battle lines for long since they leave the Houthis in control of much of the country, including the capital, Sanaa, and the major port city of Hodeida. The two U.S. allies leading the coalition – Saudi Arabia and the United Arab Emirates – have yet to comment on the proposal. Meanwhile, the coalition has been massing troops on the outskirts of the Red Sea port of Hodeida, the entry point for 70 percent of food imports and international aid, according to Yemeni officials, including some who are inside the city. Rebels were taking up positions along the front lines. All officials spoke on condition of anonymity because they were not authorized to brief journalists. The coalition has waged war on the Houthis since March 2015 in an effort to restore Yemen’s internationally recognized government, whose authority has been largely confined to the southern city of Aden since the rebels seized Sanaa and much of northern Yemen in 2014. The war is widely seen as a proxy battle pitting Saudi Arabia and the UAE against Iran. U.N. envoys have hosted several rounds of peace talks but have made no progress. The Saudi-backed government has demanded that the Houthis withdraw from Sanaa and other areas, something the rebels have always refused to do. Saudi Arabia is unlikely to agree to any solution that would leave a Houthi-run entity on its southern border. The Houthis have repeatedly fired long-range missiles into Saudi Arabia and have struck its capital, Riyadh. “There is no solution that can come from (President) Trump or the Democrats, only booby traps,” he said.